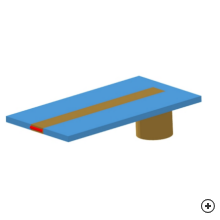 The coaxial-to-microstrip line has an ultra-wideband performance (where S11 < -10 dB and S21 > -1 dB) with the upper limit dependent on the exact physical parameters and geometry of the coaxial connector used. 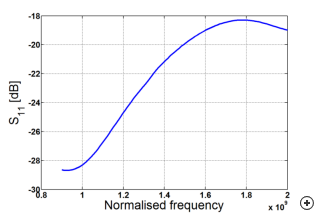 Magus, however, does not model a specific coaxial connector. 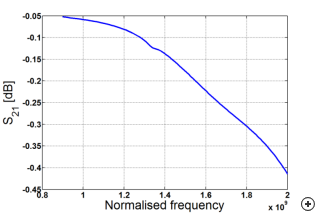 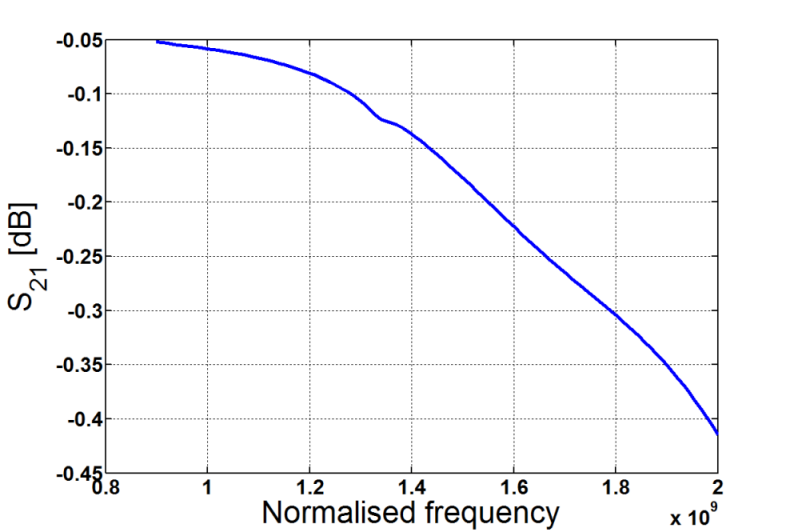 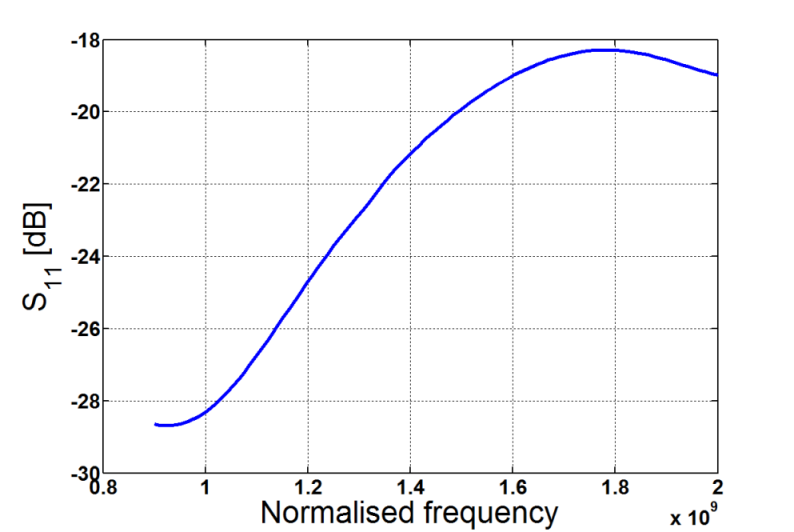 Typical reflection and transmission coefficient behaviour versus frequency for a 50 Ohm port impedance and epsr = 2 and 2.2 for the coaxial cable and substrate respectively.